Content as one of the best athletes in her father's kingdom, Atalanta rebels against attempts at an arranged marriage. What she doesn't know is that Aphrodite has given her blessing to a race that will change everything. Then there is Andromeda whose beauty rivals that of any goddess. 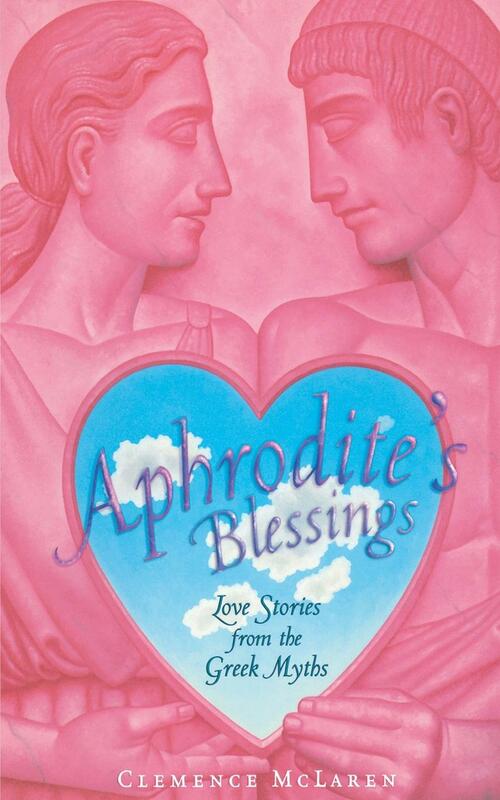 She is devastated by her father's choice of a husband but Aphrodite has another plan for her too. Finally, nobody wants to marry the beautiful Psyche. A mysterious suitor is finally found, but Aprhrodite decrees that Psyche must descend into Hades to earn his love. In three love stories spun from Greek myths, Clemence McLaren, author of Inside the Walls of Troy and Waiting for Odysseus, presents these new retellings -- with all their longing, hope, fear, and love -- from the woman's point of view. A marriage offer started the series of death races that have made me famous. I always tried to talk them out of running against me. "Be reasonable," I would say. "What you have to gain is not worth losing your life." But they were so sure they could outrun me, a mere girl. And after that first foolish challenge, no one could have stopped the athletes from coming to compete, as word spread throughout Greece of the ultimate running contest -- with a kingdom for a prize and death to the loser. My father was too shrewd to turn away the young men willing to risk everything, or the thousands who came to see them race. On challenge days there were dancing bears, poets creating ballads, traders from the Orient with spices and precious stones. I would be watching from a high window in the women's quarters, fighting down the nausea. But I'm getting ahead of my story. I want to set the record straight. I'll begin at the beginning. My mother died giving birth to me. I was the only child of Iasius, king of Arcadia. Naturally, my father wanted a son, and against the advice of his ministers, he made a substitute of me. I wore the short tunic of the athlete in training. I learned to throw the javelin and the discus, to hunt wild boar in the mountains, and when I was small, to wrestle in the courtyard with the sons of the noblemen, my body glistening with scented oil. Above all, I learned to run. My best memories are of rising on a pink winter dawn and setting out across rolling hills, the silver leaves of the olive trees glistening in the thin sunshine. Blood pumped through my veins, warming me as I settled into my stride, and there was no sound but the thump of my feet against the earth. Alone in the hills, with the backdrop of mountain and distant sea, I raced with nature, with the wind and trees and yesterday's moon. I felt as if I could run forever. I was rarely allowed to enjoy this solitary escape. Most mornings I reported at dawn for training at the gymnasium. No one dared oppose the king's wish to turn me into an athlete, but my coaches offered encouragement with their mouths while disapproval shone from their eyes. I wonder why my father never saw it. The runners I trained with didn't miss a chance to trip me at the starting line, or make jokes about my girl's body. True, I could have reported their insults, but I never did. Underneath, I knew I didn't belong there, sharing their pastimes. So I hid my anger and shame and dreamed of that day when, if I worked hard enough, I might become part of their world. After all, I had much more in common with the young athletes than with girls my age, who sat in the shade with their embroidery, gossiping and giggling over marriage offers. And sometimes gossiping and giggling over me. My cousin Filomena and her friends considered me a freak of nature. I knew this because I overheard them one day in the women's courtyard. They were curling their hair into ringlets, a tiresome procedure that took all afternoon. "She's tall as a boy," one of them whispered, "and brown as a peasant." "And her hair..." My cousin Filomena saw me then and cupped her hand over her mouth. I walked past them with long strides. Let them laugh, I told myself. I had better things to do than twist rags into my hair. I usually brushed it away from my face and tied it with a ribbon at the base of my neck, but when I raced, it often worked free and streamed out behind me. Both hair curling and embroidery had to do with pleasing a husband. Here, too, I had nothing in common with my cousin and her friends, even though I was fifteen, of marriage age, just as they were: Fifteen was not too young to produce sons. And how silly they were about the mating ritual -- the sidelong glances exchanged in the courtyard, the whispered messages behind stone columns -- while upstairs in the palace fathers argued over dowry. Aunt Marusha, my father's sister, had recently taken up the chore of getting me married. "You're never going to get a husband if you don't learn to weave and embroider," she would remind me. "And stop running around in that disgraceful tunic." I enjoyed arguing with her. "That's not so," I would say. "We both know I'm a prize in the marriage market, even if I never embroider a stitch." This truth gave me no joy, and, more and more, I found myself worrying about my own excellent prospects. On the day following this particular argument, I brought up the problem with my tutor, Nestor, in the middle of a philosophy lesson. "None of them would want me if it weren't for the kingdom they'll inherit by marrying me," I told him. "Well, well, well," Nestor said, setting down the scroll he'd been reading. "Is that what's distracting you. This marriage business?" Nestor was an elderly Athenian who taught me mathematics and philosophy after my training at the gymnasium. He was short and round, with a fringe of white hair and eyes that were always sad, even when he smiled. He was also my friend, the only person who ever really talked to me. "My cousin makes jokes about my muscles," I said, stretching my long, tan legs. "My aunt says no man would want a girl with legs like these. Not that you can ever see their legs," I added with a laugh, thinking of the trailing robes worn by our women, the kind my aunt Marusha wanted me to wear. Nestor sat looking at me for a long time. It was that heavy hour of late afternoon that's no good for anything but dreaming, and I was used to his silences. I waited, hoping he would find words for my fears. "You don't know how beautiful you are," he finally said. "No one has allowed you to see yourself. Your tall, graceful form, your dark hair flying behind you as you run..." He paused, pinching his chin. "I think perhaps they're scared to death of you, all those would-be suitors. You challenge their reality." The word "reality" reminded Nestor of our abandoned philosophy lesson -- we'd been talking about whether one can ever know what is real -- and I was left to ponder his remarks in silence. Me beautiful? And what did he mean about challenging their reality? Like most philosophers, Nestor was better at asking questions than at answering them. And in the end he was wrong about one thing. The men in our kingdom were not scared to death of me. But they should have been. I, too, should have seen what was coming. I should have noticed how, increasingly, Aunt Marusha would nag my father about what I'd become with his encouragement. "Just because Zeus has not given you a son, you have no right to turn Atalanta into a substitute," she would say, pursing her thin lips into a network of wrinkles. "It's not natural for a girl to be an athlete. To run around half naked. People are talking." He laughed at her lectures. "My daughter is a better athlete than most of the sons in this kingdom. They're all jealous!" My father had been a champion runner in his youth. Since he'd become a spectator, he was even more obsessed with sporting contests. In our state, athletes were honored above all others. So in spite of my aunt's resistance, my father seemed content to monitor my progress as a runner. And I foolishly believed it might be enough for him if I could become the best in our kingdom. A month before I turned sixteen, I ran my two best times. My father was thrilled with my progress. When he summoned me on the morning of my birthday, I thought he wanted to discuss the coming regional games, and that he might finally allow me to attend. I was smiling as I approached his throne. Father was a handsome man, tall, with hair turning silver at the temples, and a full beard he was quite vain about. I remember thinking he looked exactly the way a king is supposed to look. I didn't know that his advisers, who were seated around him, were calling me a disgrace to the kingdom. Rather than see a woman rule, they were threatening to put a cousin on the throne after his death. "We have to talk about marriage," he told me, glancing at his nobles. "They fear a civil war if I die without a male heir." I hung my head, searching for arguments. "What about the games next month?" "There will be no more games." He nodded at me and cleared his throat. "It's time, Atalanta." Excuses raced through my head. Could I remind him of the oracle who had prophesied that marriage would be the end of me? No, my father assured me that such predictions could be averted, with sacrifices to the right gods. But the oracle's words had terrified me -- still terrified me. I took a deep breath, just as I had learned to do to ease my panic before a race. I turned to the ministers, who were watching with satisfaction. I wanted to shout at them, "How can I become the bride of one of the nobles who mocks me every day at the gymnasium? How could I no longer be allowed to run!" Father was frowning, impatient. "We've had offers from all the best families, so many that my advisers are concerned about dissension within the kingdom. We have to find some way of selecting one without offending the others." He sighed heavily. "Ah, Atalanta, would that we could go back to the days when our biggest problem was to take two seconds off your starting time." "I can't," I said, louder this time. "Come now, you act as if we're talking of selling you into slavery." I looked up, eyes wide. That was exactly what we were talking about. And I realized with a shock that he was never going to understand. He was a man.